The pain for OPEC oil producers is set to get worse. A price war has slashed the price of oil by more than 40% in six months and put U.S. gas on the path to $2 a gallon. And on Wednesday, OPEC cut its forecast for 2015 world demand growth by 6%. It blamed slowing consumption in western Europe, Asia and Latin America. That alone is bad news for high-cost producers. You tell us: How has cheap gas impacted your life? What makes matters worse for countries such as Iran and Venezuela is that OPEC expects its members will continue losing market share to the U.S. It expects demand for OPEC crude oil to fall by 400,000 barrels per day in 2015. "This downward revision reflects the upward adjustment of non-OPEC supply as well as the downward revision in global demand," it said. In November, OPEC decided to not scale back production, a bombshell decision that sent prices tumbling to their lowest level in five years. 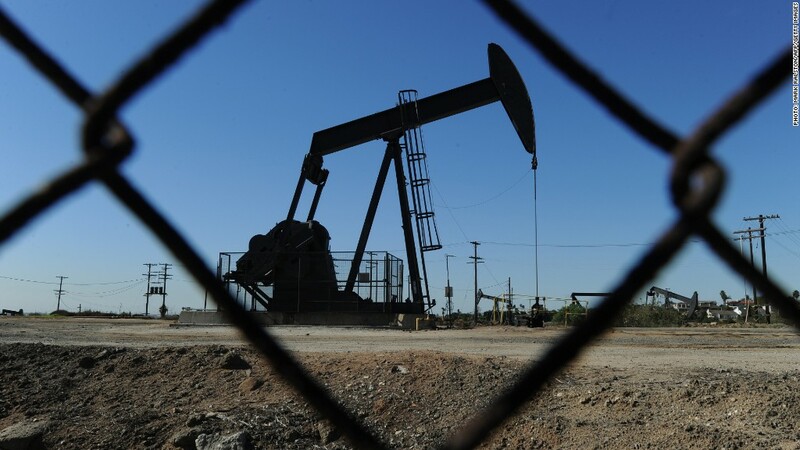 U.S. crude prices shed another 2% Wednesday to $62.50 a barrel. The price plunge has prompted some U.S. companies to scale back their investment plans. But it won't kill off the shale boom just yet, even if prices still have further to fall. The Energy Information Agency has trimmed its forecast for U.S. crude oil production to 9.3 million barrels per day in 2015, but that's still 300,000 barrels up on current levels. Just how much more pain OPEC can take is unclear. Iran warned Tuesday that prices could fall to $40 a barrel if the cartel wasn't more disciplined. "Any break in OPEC solidarity or price war will lead to an enormous price dive shock," Mohammad Sadegh Memarian, head of petroleum market analysis at the Oil Ministry in Tehran, was quoted by Bloomberg as saying.